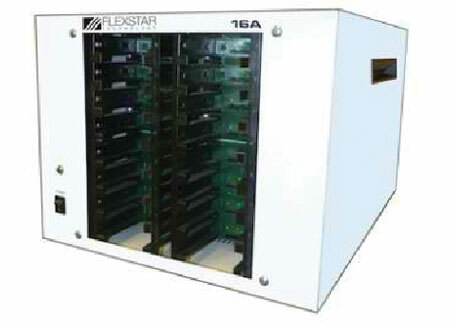 Dymek Philippines receives 2 unit order for Flexstar 16A systems from top HDD Manufacturing Company in the Philippines. Philippines – June, 2012 - Dymek Philippines receives 2 unit order for Flexstar 16A systems from top HDD Manufacturing Company in the Philippines. Lightweight and portable, the 16A ambient tester not only tests SSDs as generic drives but also probes the unique failure modes and attributes of the underlying solid state technology. The system utilizes Flexstar&apos;s Perseus operating software platform and comes with a comprehensive library of reliability and production test scripts.